WELCOME TO LAS VEGAS! Play your favorite 3-reel & 5-reel classic slot machines with 35,000 CREDITS TO START. 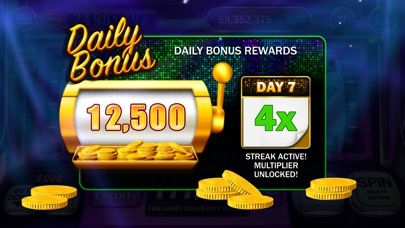 Collect MORE FREE CREDITS daily with added bonuses for coming back again & again. 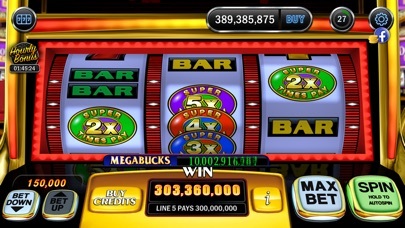 Feel like a HIGH ROLLER as you enjoy the thrill of WINNING on the same slot machines you play at the casino. 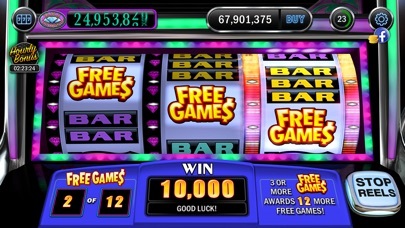 7s, Diamonds, Free Games, ReSpins, Jackpots, MegaBucks™ and MORE! DoubleDown Classic Slots is your QUICKEST WAY TO LAS VEGAS. • Collect FREE CREDITS multiple times a day • Collect BONUS CREDITS daily to max out rewards with Mystery Multipliers • Top-rated REAL slot machines from the casino • BIG WINS with max bets, free spins, respins, and jackpots! • Play anytime, anywhere with no internet required Take a seat among famously winning slot machines you won’t find in any other app! Top Slots like Spinferno Red Hot Diamonds, Red Hot Tamales, Gold Creek, Hotter Than Blazes & Super Times Pay. PLUS, find all the true casino favorites like Triple Double Diamonds, Sizzling 7s, Triple Double Butterfly Sevens & Double Diamond Deluxe. 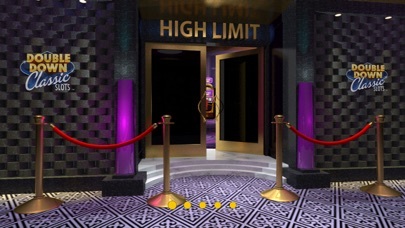 Every slot is available to every player, from the very first spin. 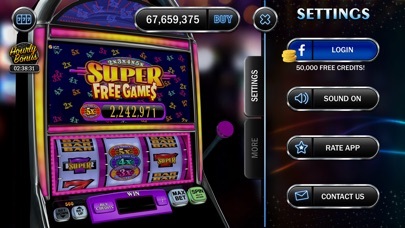 ►Real Vegas slot machines with free spins, respins, progressive jackpots & BIG WINS◄ ►Fast-loading, fast-winning app goes straight to the action!◄ ►Vibrant high-definition graphics capture the bright lights of Vegas◄ ►Realistic visuals & authentic sounds◄ ►Control the action with AutoSpin & Slam Stop features◄ Need help? https://doubledownclassicslots.zendesk.com/hc/en-us No internet connection required to play. DoubleDown Classic Slots is intended for players 21 yrs+ and does not offer “real money gambling” or an opportunity to win real money or prizes based on the outcome of play. Playing DoubleDown Classic Slots does not imply future success at “real money gambling.” For more slot favorites try Ellen's Road to Riche$ Slots, as well as DoubleDown Casino including real Vegas Slots, Video Poker, Blackjack, and Roulette - all from the maker of DoubleDown Classic Slots!